A year ago, my grade school-aged daughter signed up to participate in Girls on the Run, a program for grade school-aged girls that culminates in a 5K run in November. Families are asked to have an adult sign up to run with each girl, and, for various reasons, that job fell on me. To survive the dropping temperatures, I invested in a set of base layer tights from Target, which did the job in keeping me from freezing to death during the cold days. 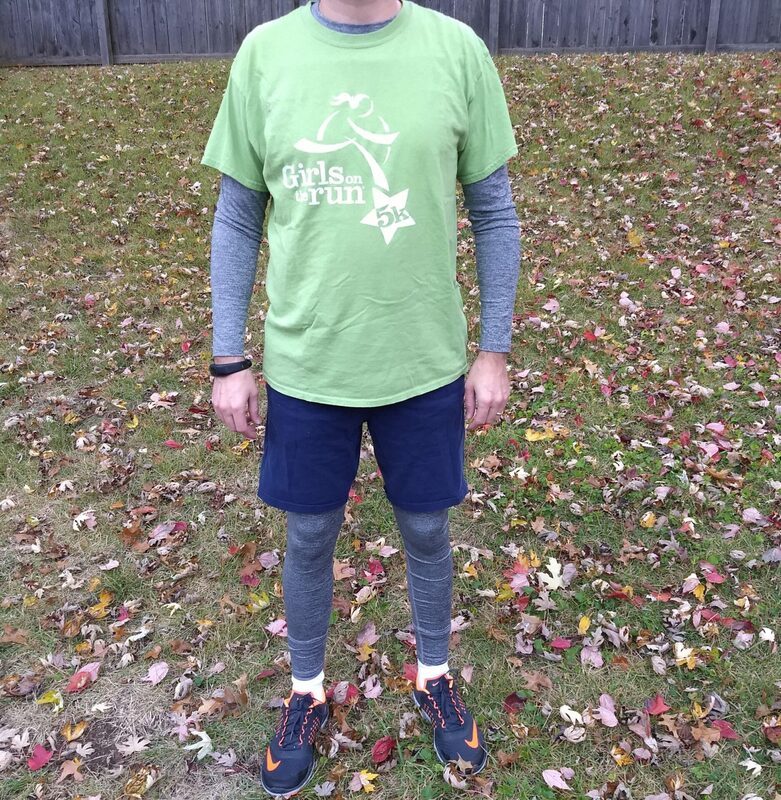 But when my daughter signed up for the 5K once again this year, I realized that those base layers were showing some signs of wear. 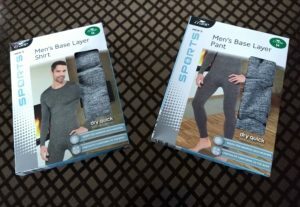 Conveniently enough, Aldi decided to offer its own base layer set. So I gave it a try. Crane Men’s Base Layer Pants and Crane Men’s Base Layer Crew Shirts are Special Buys (ALDI Finds) sold separately at $6.99 each, meaning you’ll have to pay out about $14 if you want the complete set, as the majority of people probably will. Those are the cheapest prices I’ve seen for base layers, which traditionally run anywhere from $17 combined (on the cheap end) to $40 or more. The shirt is made of 92% polyester and 8% spandex, while the pant body is 92% polyester and 8% spandex and the mesh is 95% polyester and 5% spandex. Both are certified “Standard 100” by OEKO-TEX for harmful substances. Both also have identical washing instructions. They are meant to be machine washed in cold water with like colors, with non-chlorine bleach if needed. Drying instructions are to tumble dry on low heat (I prefer to air dry my base layers), with warnings not to iron or dry clean. In trying them on, here are a few observations. One, they’re pretty comfortable, comparably so to the Target base layers that I use. They are flexible, breathe well, and — helpfully — the ones I purchased fit me as expected. Two, these feel like “lightweight” base layers. Many base layer sets come in lightweight, mediumweight, and heavyweight, depending on the thickness. 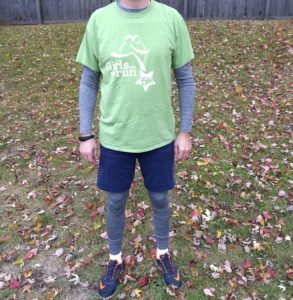 It’s sort of subjective what you need, but when I was running in closer to freezing temperatures (or 40s with rain) I benefited from midweight layers. It’s not necessarily a criticism, as some people’s needs might be different depending on their use for these, but be aware of what you’re getting with these. A final note: we’ll be tracking durability and updating that part of our review as needed. At this point, we don’t know. Crane Men’s Base Layer Pants and Shirts are a very inexpensive option for those looking for a pair of base layers. At just $14 combined, the pair fit correctly and is generally comfortable. They’re lightweight in terms of thickness, and we don’t know much about durability yet, but for your money you could do a lot worse.